Enjoy this low-fat dip with raw vegetables, baked tortilla chips, in a burrito or in the Veggies in a Blanket recipe. Combine the beans, salsa, and cumin in a food processor or blender and process until smooth. Stop and scrape down the sides of the container with a rubber spatula as needed. 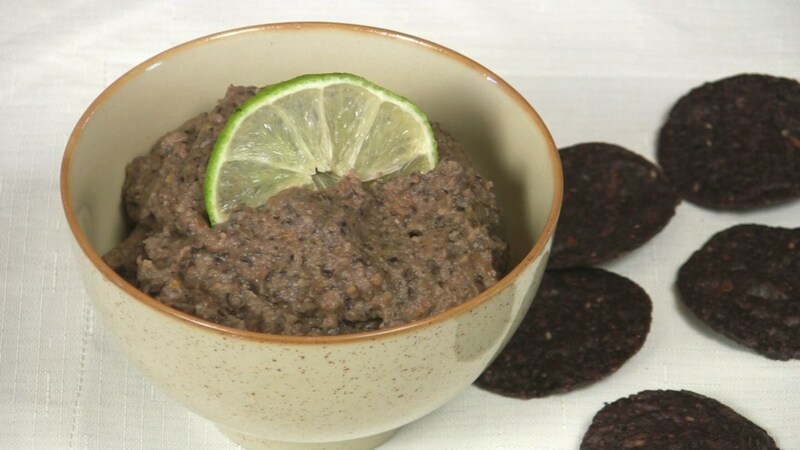 Stored in a covered container in the refrigerator, leftover Black Bean Dip will keep for up to 3 days. For a spicier dip, add more cumin, diced jalapenos or crushed red pepper flakes. See the Bean Cooking Chart for directions on cooking the beans. Visit The Physicians Committee website for more delicious Food For Life recipes. Sign in to YouTube now to post a comment! Sign up for our newsletter for the latest recipes, plant-based health news and tips from Delectable Planet.